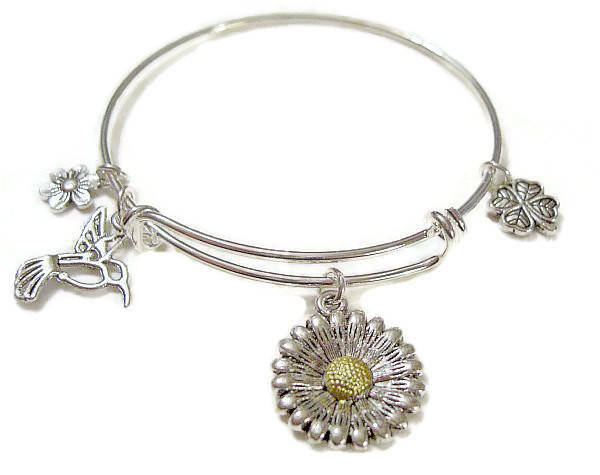 A pretty two toned Sunflower charm is the center of this design. A pretty Hummingbird hovers close to the Sunflower while a smaller flower and clover dangle nearby to complete this piece. See our line of European Bracelets here. See other Single and Leather bracelets here.